Why the International Lunar Observatory? Why Now? Astronomy first. Now that new NASA human Moon missions are being planned, logically, the first science to be done on the Moon should provide the greatest possible benefit to the greatest number of human beings. Astronomy could fulfill this role to the utmost extent – it isn’t called the “King of Sciences” without reason. With the ILO, experience in lunar-based astronomy can be obtained before a permanent human presence allows and demands placement and coordination of many other ILOs. China and the European Space Agency are planning human lunar settlement as well. Japan has made lunar settlement plans in the past. Even India is now considering its own human Moon mission. Eventually NASA, other space agencies and science groups will want to form lunar interferometers (since they’d have more observing capability than any device previously known to humanity). Also, now is the perfect time to launch this initiative due to the detailed mapping that is currently being done by Europe’s first Moon mission, the SMART-1 orbiter. The strength of today’s private industry should allow the ILO to be developed for less than it would have cost in the past. Furthermore, the ILO will inspire a love and appreciation for the Moon that will directly contribute to the success of programs already in place that initialize the fast-approaching age of international lunar exploration. The ILO’s view of Earth and the stars can inspire every human on Earth to also “reach for the stars.” Its unprecedented initial observations would be capable of immediate scientific breakthroughs. For example, a quick from-the-Moon search for Earth-like planets could find several possible harbors for life. Observations of the galactic center could produce new discoveries as to the make-up of its matter, giving scientists a better understanding of how life may have started in our solar system. Such success would encourage other lunar missions, including those from private enterprises. The ILO mission is strengthened by the current rise of the private, entrepreneurial space industry. Smaller companies like SpaceDev and TransOrbital have become viable entities capable of delivering high quality space products at only a fraction of the cost of what was previously available. They often share the common goal of benefiting humanity as much as possible, just like the ILO. Many of these smaller companies’ near term ambitions extend to the Moon (and beyond). With the ILO, international cooperation could reach the next level beyond the International Space Station, in preparation for the establishment of an international lunar base. Early in 2004, China chief lunar scientist Dr. Ouyang Ziyuan said in a TV interview that he was very interested in putting a telescope on the Moon. Later, during a science education forum in Shanghai, Dr. Ouyang proposed setting up an astronomical observatory on the Moon, citing it as an ideal outpost for meteorological observation of the Earth. Since China’s national space program is already on a steady and certain path to achieving human Moon landings within the next thirty years if not sooner, why not utilize precious resources and work together – along with every nation on Earth. SMART-1 mapping data of the Aitken Basin region, along with older data, will be used to determine the ILO’s exact South Pole landing location. 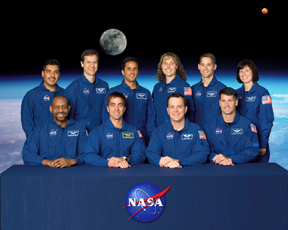 Space Age Publishing Company has several International Lunar Exploration Working Group (ILEWG) colleagues who are on the SMART-1 mission team, including its project manager and project scientist. 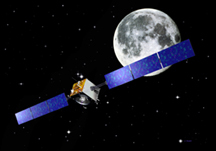 The SELENE ( Japan), Chandrayaan-1 ( India), Chang’e-1 ( China) and Lunar Reconnaissance Orbiter ( USA) Moon mission teams network with the European Space Agency’s SMART-1 team and other countries such as Canada and Mexico within the ILEWG. Space Age Publishing Company’s involvement in and support of ILEWG should increase the ILO’s chance of achieving a successful landing and also make sure that it fits into international lunar exploration goals. Now is the time – with three space agencies committing to lunar settlement, seven planned international lunar missions, and private enterprise coming into its own – for the ILO. Now that rejuvenated lunar exploration is certain, the ILO’s role and place in near term lunar development could hold infinite benefits for everyone. It is obvious that the sooner humanity can reap these benefits of conducting astrophysics from the Moon, the better.